Join the Northern California World Trade Center and the U.S. Commercial Service for a briefing on opportunities in Brazil. Following the briefing, there will be a Q&A and networking. Brazilian appetizers and drinks will be served, courtesy of our generous event host, the Brazilian Center for Cultural Exchange. 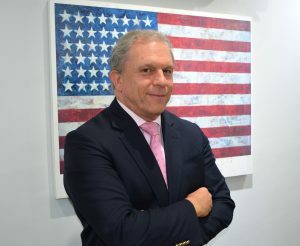 Geoffrey assumed his duties as Principal Commercial Officer at the U.S. Consulate in Recife, Brazil, in 2016. Recife covers a vast commercial area comprising the Northeastern sector of the country which holds great promise for U.S. businesses, particularly in health care and renewable energy. Geoffrey will address Brazil market opportunities in some detail, and can also share insight into opportunities in Jordan, Mexico and Colombia. Geoffrey will review best sector prospects, include some tips for success and make some reflections on best practices he has seen (and some worst practices too). Prior to arriving in Brazil, Geoffrey was the Commercial Counselor at the U.S. Embassy in Jordan. Jordan was the first Arab nation to sign an FTA with the United States and remains a fruitful market for U.S. exports. During his tour at the San Diego Export Assistance Center, (2011-2013), Geoffrey helped U.S. companies tap into trade opportunities along the U.S./Mexico border as director of the California/Mexico Border Trade Office. He also served from 2007-2011 as the Principal Commercial Officer at the U.S. Consulate in Monterrey, Mexico. He previously worked from 2004 to 2007 as the Commercial Attaché at the U.S. Embassy in Bogota, Colombia. Geoffrey also has performed temporary duties at the U.S. embassies in Brasilia and Tunis. Prior to his diplomatic service, Geoffrey logged several years of fruitful business engagements with Mexico. Most recently, he managed U.S./Mexico border projects for Science Applications International Corporation (SAIC) where as a contractor for the U.S. EPA, he helped draft chemical emergency response plans between U.S. and Mexican authorities in the California/Baja California, Arizona/Sonora border regions. Geoffrey’s international wanderings were inspired early in his career by his work at the San Diego Mayor’s Office of Binational Affairs. Responsible for the City’s day-to-day relations with Mexico, he coordinated numerous cross-border projects, and spearheaded public-private task forces in economic development, airport expansion, the environment, and public safety. Contact Maia Jaffe for more information.